University of Kentucky junior right-handed pitcher Alex Meyer was named the Southeastern Conference pitcher of the week following his complete-game win versus Arkansas. Morehead State University sophomore left-handed pitcher Garrick Whittle was named the Ohio Valley Conference pitcher of the week after his 12-strikeout game versus Tennessee Tech. Doug Miller of MLB.com reports the Seattle Mariners will option Highland Heights native and former NKU right-handed pitcher Josh Lueke to AAA Tacoma before Tuesday’s game. Lueke is 1-1 with a 17.05 ERA in eight games this season. 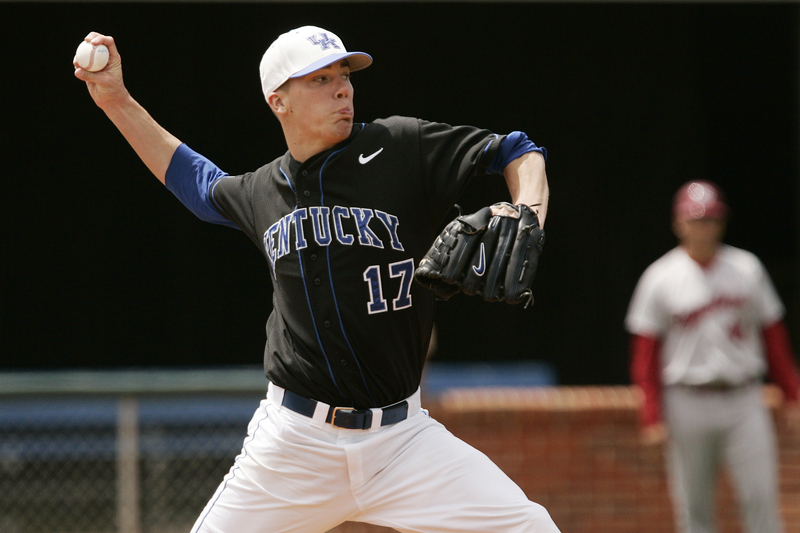 Richard Durrett of ESPNDallas.com reports Ashland native and former UK right-handed pitcher Brandon Webb threw two innings in an extended spring game on Monday. PLD alum A. J. Ellis was at the center of a minor controversy over the weekend when he attempted to steal second base with the Dodgers up big late in their game versus the Cubs on Friday. Dave van Dyck of the Chicago Tribune reports the stolen base attempt was the result of a missed sign, not a breach of baseball etiquette. After conferring UK, Arkansas, the SEC and NCAA have decided to count the statistics from the unfinished sixth inning of the two teams’ Sunday finale. The scoring change means the final score of the game was 5-1 instead of 4-1.